Grease a marble slab or worktop, metal pastry scraper and some kitchen scissors. Combine the sugar, glucose syrup or golden syrup, cream of tartar and water in a medium, heavy pan. Heat gently over medium heat until the sugar dissolves. Bring to the boil and boil the syrup until it reaches the soft-crack stage (140°C/290°F). Stir in the colouring and rose water and immediately place the pan over the ice-water bath to arrest the cooking. Pour the syrup on to the oiled marble slab and allow to cool until a skin forms on the surface. Using the oiled scraper, begin to fold the edges into the centre of the pool until it is cool enough to handle. Dust your hands with icing sugar. Take hold of the ends of the syrup strand and pull them up towards you to form a U shape again. Do not twist the strands. Continue for 10 minutes until the mixture becomes opaque. Pull it into a long strip, then cut it into small pieces with the oiled scissors . Leave the rock out at room temperature for about 24 hours until it becomes soft and powdery. Serve immediately or store in an airtight container. Made anything exciting in the kitchen? The closest I’ve come is watching it in movies like Skyfall and The Illusionist (which is an animation so doesn’t really count). Really, you can actually make sweets like that at home?! I am blown away! Oh lord….I love the photos of the castle … it is lovely. LOVE the photography! 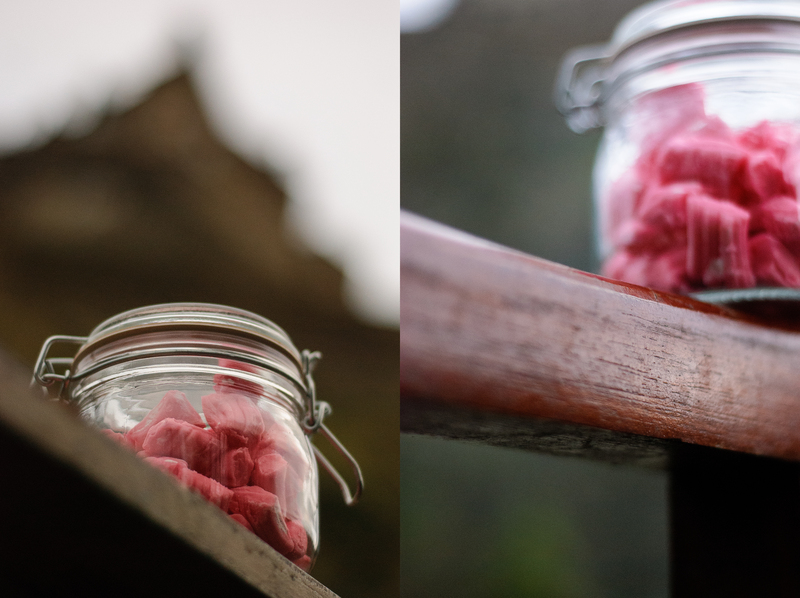 The candy looks mighty pretty as well – I don’t think I have the skill-set for making it but your pix make me want to try! Groundnut oil….peanut oil maybe? This sounds good and photos are 100% beautiful ! I’ll have to research the groundnut oil, as I’ve never used it before. I love your blog and look forward to exploring it more when I have time. Oh yes, of course I know peanut oil. Thanks for the clarification! Love your pictures.This castle brings back good memories for me. In 1998 I went to the military tattoo with my relitives. They live in a town called Bonnygrigg, Midlothian. Such a beautiful site. 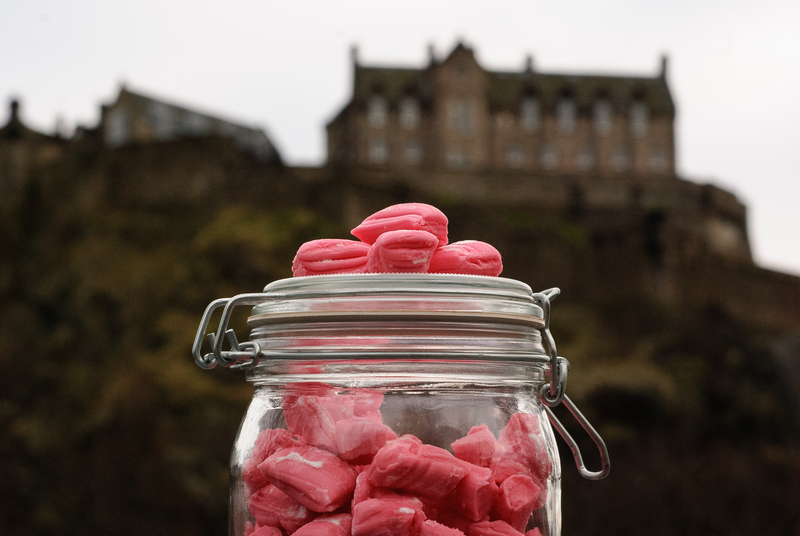 Fantastic pictures – as an Edinburgh foodie I have no idea why I have never thought to make this before!!! Hi Lucy – I’m Rach. It’s great to stumble across other Edinburgh food blogs….hope you’re enjoying the rare Edinburgh sunshine today! Oh, those pictures are so beautiful! And really bring me back to when I visited Edinburgh years ago. Besides the castle, one of my favorite places were all the gorgeous sweet shops! Thanks for a delicious looking recipe. Lovely pictures! I know another version of this candy made with coconut milk instead of rose water. 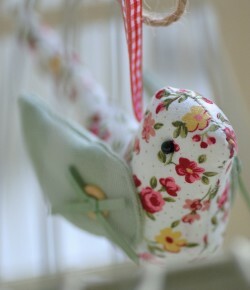 This must be fab too! 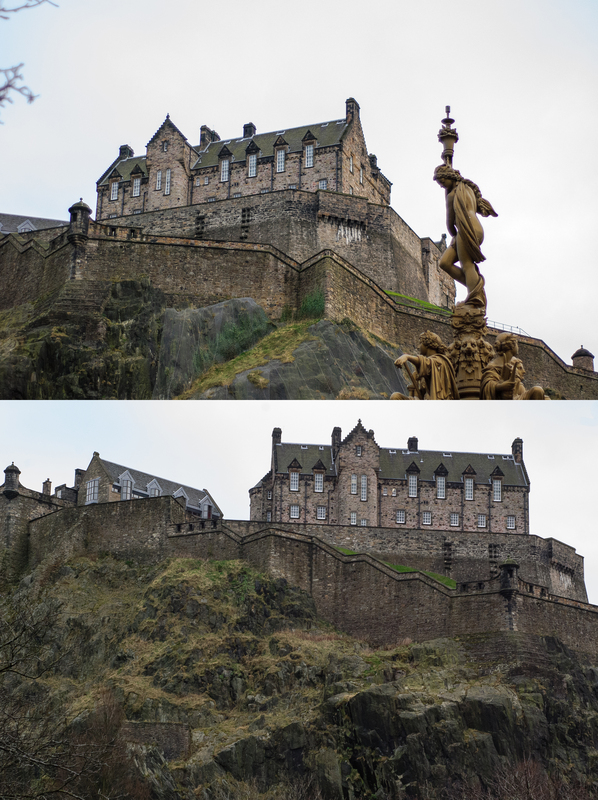 Edinburgh rock and a view of the castle. It’s a bit like strawberries and cream, perfect together. How exciting! I’m seriously thinking of making this to bring to my show in Edinburgh at the Fringe in August… Edinburgh rock to Edinburgh (via London!) It looks perfect – but is it terribly difficult – looks quite challenging? Do I need a thermometer? I’m a bit old-fashioned and tend to do things by look and feel. Do you think that would work? I’ll be at Venue 53. Surgeons Hall. From 12-17 Aug. Please come and please let me know if you do! These look awesome! I need to buy myself a damn thermometer so I can make some candy! My goal is to remember to get one by the weekend! Thanks for motivating me to try my hand at candy making! Love your pics. Just gorgeous. And the Rock recipe takes me back to years we used to travel to Aberdeen (always stopping off for a night in Edinburgh on the way) to visit Granny. Its been too long! 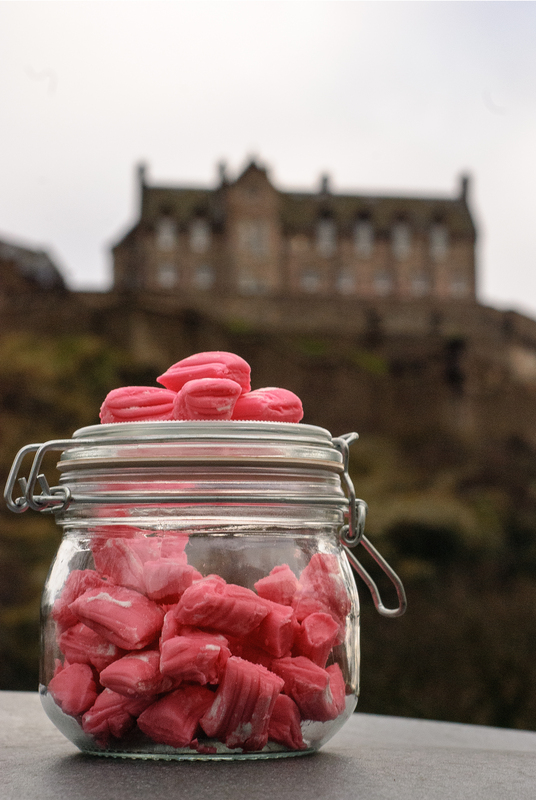 That’s the most interesting photo shoot of candy/lollies that I’ve ever seen – great contrast of the colour with the castle in the background – something very fairytale about it. Thanks for swinging by on my blog btw. Can I ask, most recipes I’ve seen ask for the sugar to be boiled to 126C but you suggets 140C. The last few times I’ve tried to make Edinburgh Rock it has not held it’s shape, been to soft and formed back in to a massive blob. Is this a result of the sugar not being boiled enough? Such a cute idea to take the pictures at Edinburgh Castle! !